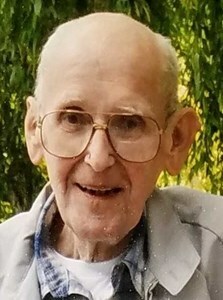 Thomas Anthony Look of Brewerton, NY, passed away Thursday, February 7, 2019, at the age of 86. He was born and raised on the northside of Syracuse, NY where he lived with his parents and 4 siblings. He was a graduate of St. John the Baptist High School. After earning his pilot license at the age of 19 he joined the Air Force and was stationed in Japan during the Korean war where he held a Secret Service Clearance rank to decipher and decode in coming teletype. He married Shirley K. Hughes (predeceased) while serving in the Air Force. They had a beautiful fall wedding planned however, due to the Korean war did not take place that fall. While home on leave, they obtained special permission from the Bishop to get married during advent and the Bishop himself performed the wedding ceremony on December 19, 1953. After being honorably discharged from the Air Force, Tom retired form Carrier Corporation after working there for 32 years. Then enjoyed traveling with the Carrier Retiree’s Group, and attending their monthly luncheons. Together with Shirley they raised four children, Denise Look (predeceased), Deborah “Debi” Look of Brewerton, Sharlene (Look) Hillenbrand of Cleveland, and Vincent (Cindy) Look of Brewerton. He enjoyed spending time as a Dad to his children and being a proud “Papa” to his 5 grandchildren, and 5 great grandchildren. Tom was a parishioner of Divine Mercy Parish in Central Square where is enjoyed spending time with his friends at mass, and their monthly luncheons. He also enjoyed the monthly luncheons at the Brewerton Methodist Church. Calling hours will be held at New Comer Cremations & Funerals, 705 North Main Street, North Syracuse, on Wednesday, February 13, 2019, 4:00 pm – 7:00 pm. To share a memory of Thomas or leave a special message for the family, please click the Share Memories button above. Add your memories to the guest book of Thomas Look. So sorry that I cannot be there in person. However, the weather does not seem to be cooperating. Just wanted to let you know that, for me, Uncle Tom was one of the finest people that I have known. I spent many an early morning at family reunions (before many were up) sitting a the table with a cup of coffee having great conversations. Before any of you were born and when I was about 8 or 9 both Uncle Tom and Aunt Shirley would take Kenny, Cheryl, and I to Alexandria Bay. They taught us how to play monopoly and how to look for the flags of freighters traveling the Seaway. To me he was always kind, always patient, and told some really corny jokes (which I loved). I will miss him as I know that you will as well. We remember your parents as parishioners at St Agnes Church in Brewerton. I (Dorothy) especially remember them when I worked at the luncheons at the Brewerton Methodist Church. When I saw them come in I had to make sure I brought hot tea for your father and I think it was Pepsi for your mother. They were very special people and were loved by everyone the met. Our condolences on the loss of your father from Harold and Dorothy Rogers. Met Thomas at Devine Mercy Church through mutual friends. Tom always was very kind had a very friendly handshake. His smile will never be forgotten. My condolences to the family will keep you in prayer. Vince & Cynthia~ My thoughts & prayers extends to you & your family. May all the memories comfort you today & always.